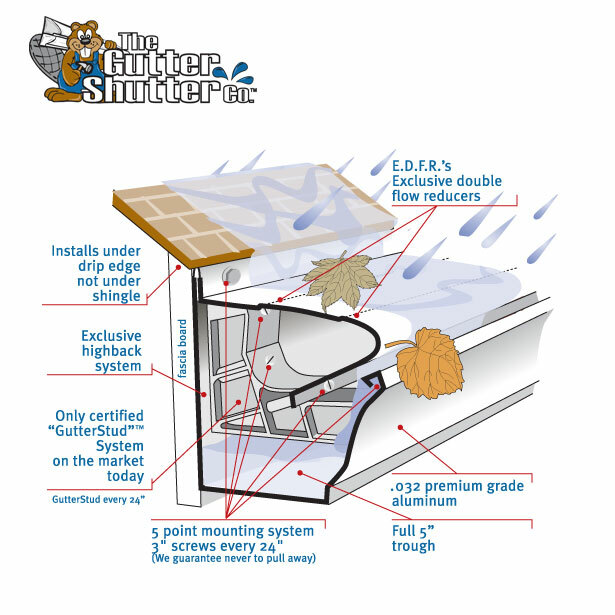 When you decide to end the dangerous and messy chore of cleaning your gutters, our product is a specially-designed clog-free system that is perfect for you. Our patented system will keep leaves, sticks, acorns, pine cones, twigs, seed pods, bird nests and other debris out where it belongs. Locally owned and operated here in Charlotte, The GutterShutter Co. offers the most advanced solutions, installed by trained technicians and backed by the strongest warranty in the industry. We are an accredited member of the Better Business Bureau. Our protection system will give you immediate peace of mind knowing you no longer have to climb a ladder to remove leaves and debris. According to Joel Fugleburg, DC in his blog post that provides cleaning tips, there are thousands of people injured and killed falling off ladders every year doing gutter and window cleaning. Virtually everyone believes nothing bad could ever happen to them, but in reality accidents occur everyday. The answer is we have a proven system that will last for a long time. 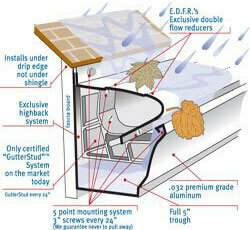 Reality is there are over 20 different types of protection systems available to homeowners. So how does one decide what system is best for them? Easy, we did the work for you. We continually look at the choices and options in the marketplace. We truly believe that our no-clog product and the warranty that backs it up is the best anywhere. If we did not think that this was the best product, we could simply change the product line, it's that simple. We chose these gutter guards because they were a much better value than the other protection systems we saw at the home improvement store or online.